I wanted to go there since I was in first year of degree. after finished the last paper of semester 5….kik3…worth to wait okeyh…! And I would like to say MILLIONSSSS THANKS TO THESE TWO FRIENDS OF MINE…. Thanks a lot akmal and miraaa…! Of course other friends too…! 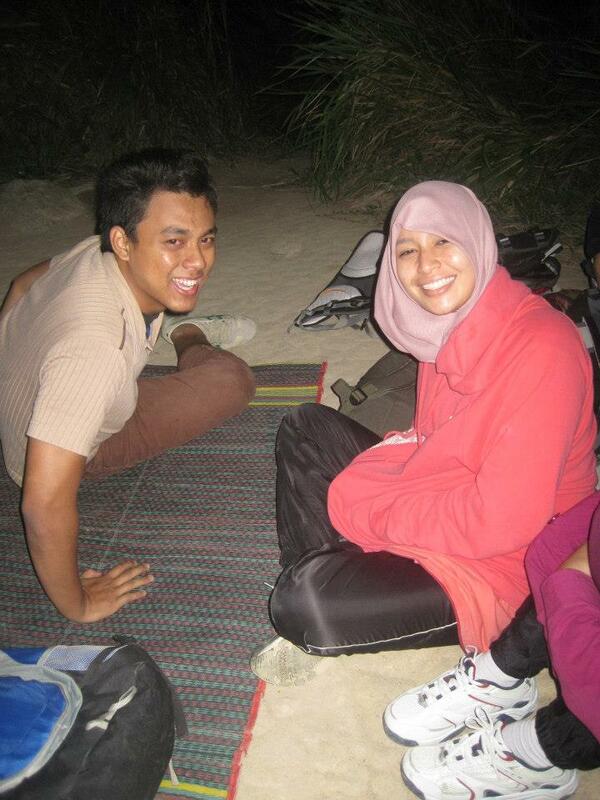 About 4.45 am we arrived at the first peak…SUBHANALLAH…nice view..! Could see the town down there …thousands of stars up in the sky…hee.. I wish I could just lie there but of course not when you have boys around you..
And then when its getting sunny..the wind just gone..and we really enjoyed taking pictures..! I last went to air terjun...! !kik3...lagi la suker ader org nk bawak neh..
really nice day with them..! supervisor..got a subject already...PHEWHH..what a day...!